Change the way you run. When we say LIVE, we mean it! During our classes, you’ll be guided by a professional trainer who updates you on your speed and distance in REAL TIME. Can’t make a live run? 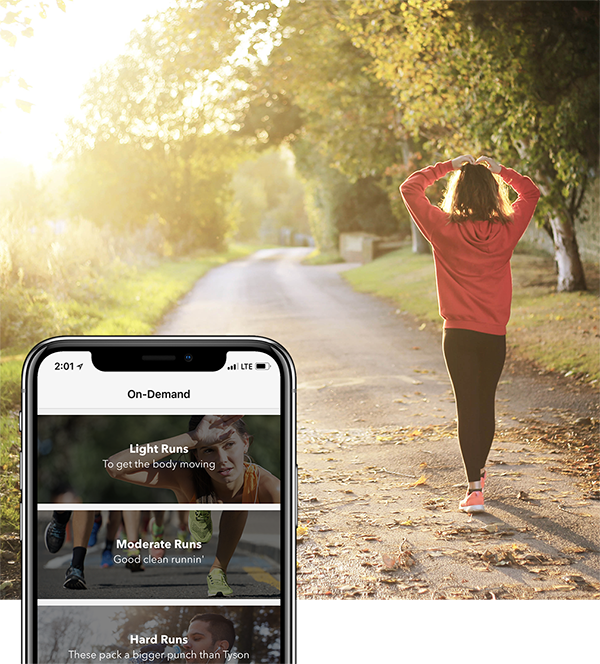 We’ve got you covered with a variety of on-demand runs that track your stats and allow you to compete with anyone who has ever done that run in the past! From High Intensity Interval Training (HIIT) to Walk to Runs to Tempo Runs, you’ll never get bored! And don’t worry, about running a certain pace. We use a Level System so you get to decide the pace based on the desired effort level! Our trainers bring their experience, expertise, and quirky personalities to every run! Get ready to meet the most motivating coaches in the world, from serial marathon runners, to active duty military,. 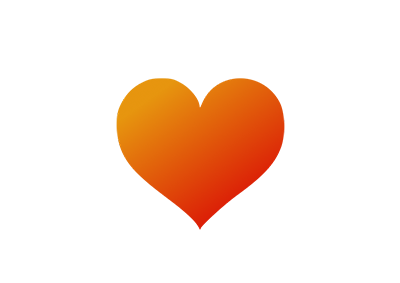 "I can't say enough positive things about the app. It's really changed my relationship with running. I actually look forward to your runs rather than dread running like I used to." “I look forward to each run. . .It plays on my competitive spirit as the coaches’ are constantly challenging me and I get to race against other runners." 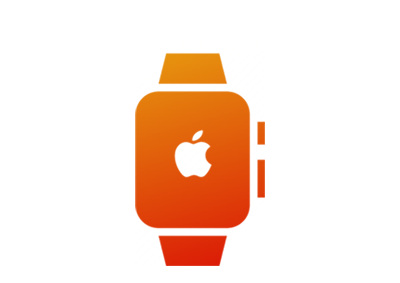 Use your Apple Watch to track your distance on a treadmill, or quickly see your stats and place while in a run. Chat with runners before, during or after the run! Request a song from your trainer, or send a selfie! 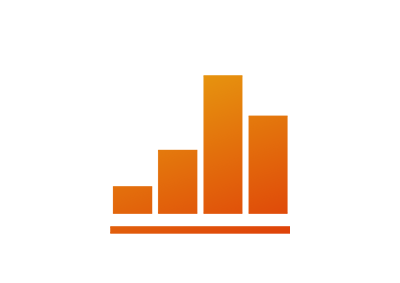 See your stats for each run, and view them at anytime in your profile. Track your total and weekly distance as well! Sign up for a run? You don't wanna miss it! We will send you a notification one hour before the run so you don't forget! Wanna fill those activity rings? 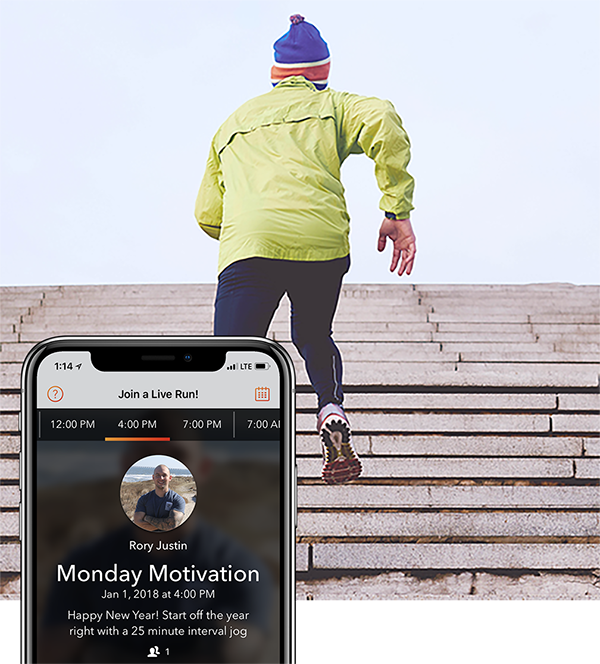 Charge will add to your workouts, as well as use your distance for our runs! With Charge, the trainers are your personal DJ's. Different runs have different genres, and you can choose your favorite. Join our mailing list to stay up to speed! Access unlimited LIVE and on-demand runs free for 14 days, then just $9.99 a month!